"Here's a super simple dry rub for a slab of pork ribs. Works great with chicken, too." 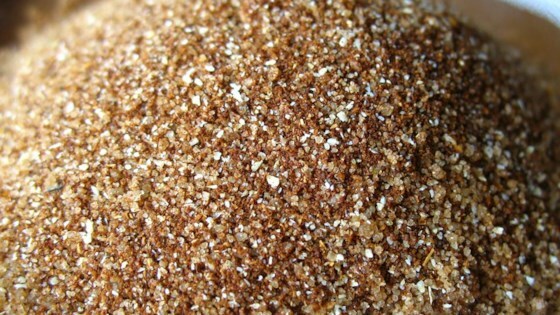 Mix together the brown sugar, paprika, salt, black pepper, and garlic powder. Rub into pork ribs. For best results, allow ribs to marinate overnight. Grill ribs as desired. My food tasted like brine after using only a tiny amount of this rub. I'd recommend people halve or quarter the amount of salt in the recipe. I have made this over and over again. It is wonderful. With only 5 ingredients, it tastes too good to be true. ***** 5 stars all the way.